Built in the 1890s at the center of the nation, Leavenworth Federal Penitentiary was designed specifically to be a replica of the US Capitol Building. But why? The Prison of Democracy explains the political significance of a prison built to mimic one of America’s monuments to democracy. Locating Leavenworth in memory, history, and law, the prison geographically sits at the borders of Indian Territory (1825–1854) and Bleeding Kansas (1854–1864), both sites of contestation over slavery and freedom. 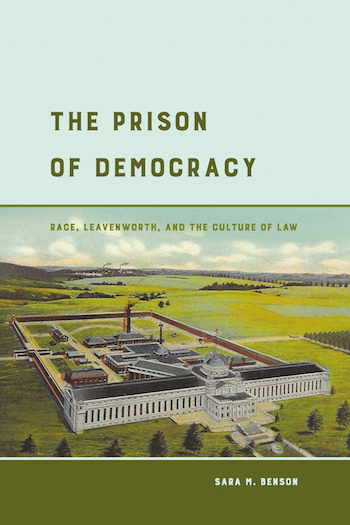 Author Sara M. Benson argues that Leavenworth reshaped the design of punishment in America by gradually normalizing state-inflicted violence against citizens. Leavenworth’s peculiar architecture illustrates the real roots of mass incarceration—as an explicitly race- and nation-building system that has been ingrained in the very fabric of US history rather than as part of a recent post-war racial history. The book sheds light on the truth of the painful relationship between the carceral state and democracy in the United States—a relationship that thrives to this day. SARA M. BENSON is a Lecturer in the Department of Political Science at San Jose State University and teaches at Oakes College at the University of California, Santa Cruz. This book has been peer reviewed. See our Peer Review Policies for more information. University of California Press is one of the top publishers for the academic community. For more than 120 years, it has championed work that influences public discourse and challenges the status quo in multiple fields of study.